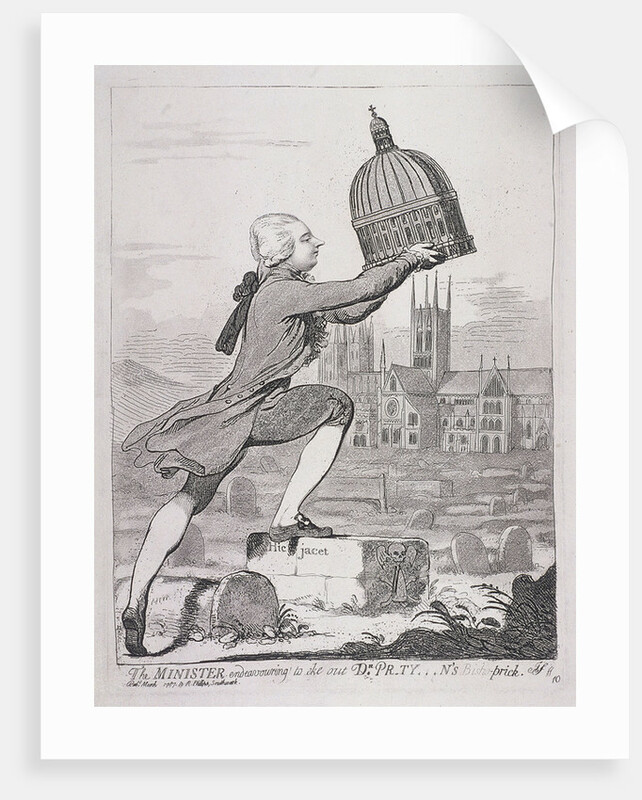 'The Minister endeavouring to eke out Dr Pr-ty---n's Bisho-prick', 1787. 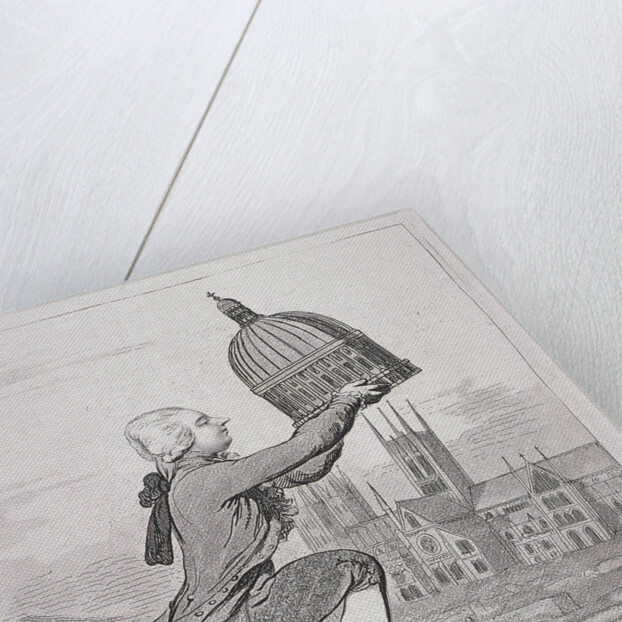 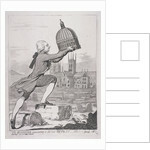 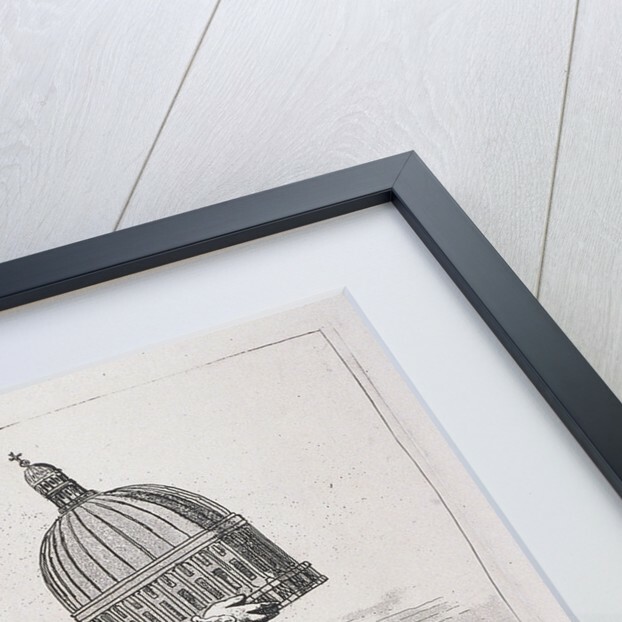 William Pitt holding up the dome of St Paul's Cathedral which he is about to place over the central tower of Lincoln Cathedral; Dr George Pretyman was Dean of St Paul's, and had been Pitt's tutor. 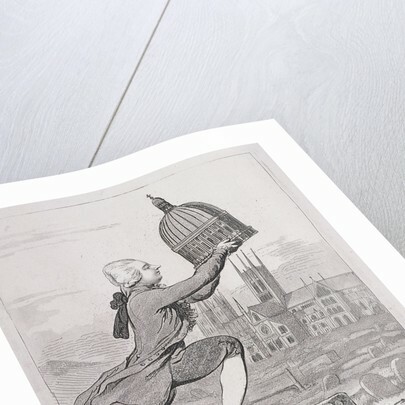 More by the artist James Gillray.